The discipline of Personal Knowledge Management (PKM) is depicted in this chapter as a dimension that has been implicitly present within the scope and evolution of the Knowledge Management (KM) movement. Moreover, it is recognized as the dimension that brought forth Knowledge-based Development (KBD) schemes at organizational and societal levels. Hence, this piece of research work aims to develop parallel paths between Knowledge Management moments and generations and the PKM movement. KM will be depicted as a reference framework for a state-of-the-art review of PKM. A number of PKM authors and models are identified and categorized within the KM key moments and generations according to their characteristics and core statements. Moreover, this chapter shows a glimpse of the knowledge citizen’s PKM as an aspect with strong impact on his/her competencies profile; which in turn drives his/her influence and value-adding capacity within knowledge-based schemes at organizational and societal levels. In this sense, the competencies profile of the knowledge citizen is of essence. Competencies are understood as the individual performance of the knowledge citizen interacting with others in a given value context. 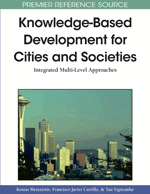 The chapter concludes with some considerations on the individual development that enables PKM to become a key element in the knowledge citizen’s profile, such as the building block or living cell that triggers Knowledge-based Development at organizational and societal levels. Indeed, the PKM notions and concepts have grown in emphasis and popularity in recent years. As this Chapter develops, some of the key elements considered stem from Carrillo's work (Carrillo, 1996, 2001a, 2001b, 2002; CSC, 2001, 2002; Martinez, 1999) based in his concepts on KM perspectives. However, it should be acknowledged (Carrillo, 1996) that in the onset of the movement the personal/individual dimension of KM received scarce attention from researchers and practitioners. Although Personal Knowledge Management concepts are mainly used today within the KM field, such notions have an earlier foundational background rooted in a number of disciplines related to individual human development; such as philosophy, psychology and sociology. More recently, the same notions have been used to support considerations such as the Emotional Intelligence approach developed (among others) by Goleman (1995) and Frand and Hixon (1999), and Personal Intellectual Capital (Carrillo, 2002). The KM movement where PKM resides has evolved significantly from a scattered condition to professionalization and consolidation. Carrillo has identified and put together the features of the developmental moments in the field of KM (Carrillo, 2001b, 2002). The most relevant features of the developmental moments in the KM field (Carrillo, 2001) are described below. In its first moment –scattering–, knowledge is understood as an object, and consequently stresses building information stock and solutions based on information systems, as well as documenting and codifying management. In the second moment –professionalizing KM–, knowledge is defined as a process and the presence of an emerging community of professionals who study this discipline is acknowledged. There is likewise a presence of groups specialized serving this field professionally, there are relevant actions in KM research and education. In the third KM moment –consolidation–, understanding of knowledge emphasizes value alignment and balance and the emergence of alternate approaches built on value systems knowledge; and accounting practices based on the chief pivot –called the capitals system– are widely spread.